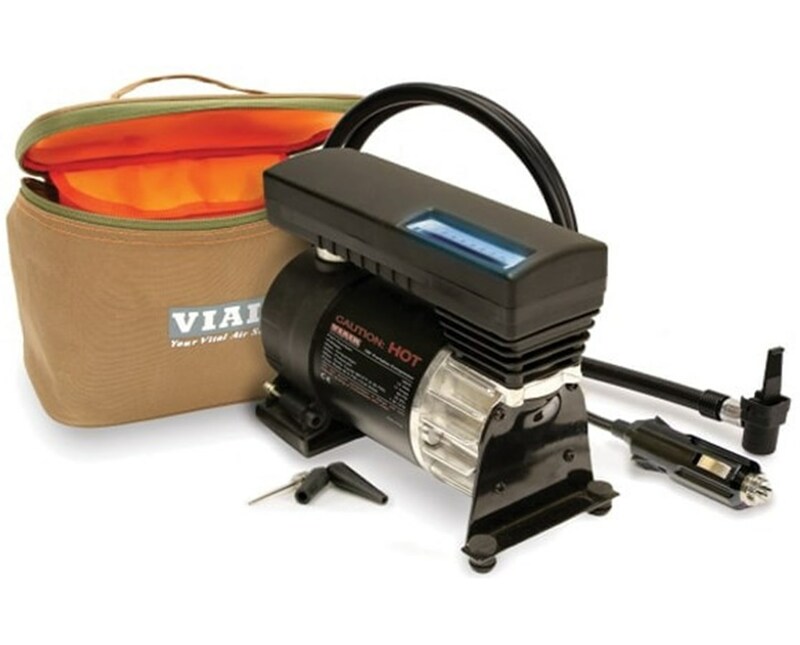 The Viair 77P Portable Air Compressor offers simple, effortless operation. It is the perfect tool for inflating small car and truck tires. This compact yet powerful compressor is capable of inflating up to 225/60/R18 tires. It is easy to use and gets power directly from cigarette lighter power port inside the vehicle. It comes with a built-in LED work light and tire pressure can be monitored using the illuminated pressure display on top of the compressor. 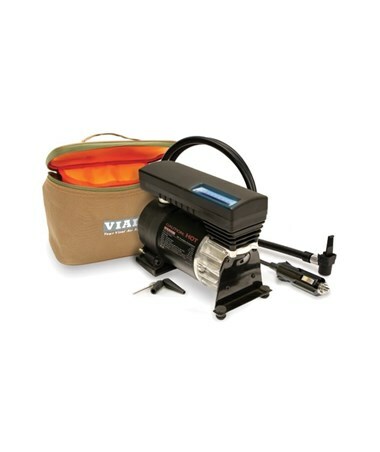 Equipped with a gearless direct-drive motor, the Viair 77P Portable Air Compressor delivers reliable and high-performance. It also features automatic reset thermal overload which protects the motor from amp draw spike. This compressor comes with a maximum working pressure of PSI with 30 minutes duty cycle at 30 PSI and flow rate of 1.06 CFM. 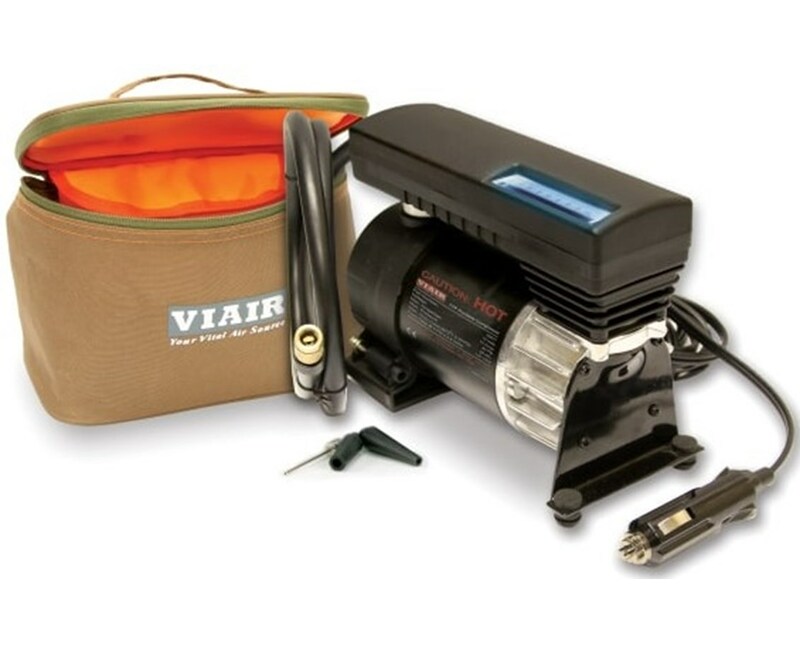 The Viair 77P Portable Air Compressor is maintenance free with oil-less design and permanently lubricated bearings. It is designed to operate on 12-volts DC with a maximum amp draw of 15 amps. It measures 7.35"L x 3.6"W x 5.4"H and weighs 5.00 lbs. This compressor is available in a twist-on chuck or a press-on chuck model. Complete kit includes a deluxe carry bag with bright orange lining for enhanced visibility. It also comes with a 1-year manufacturer’s warranty. 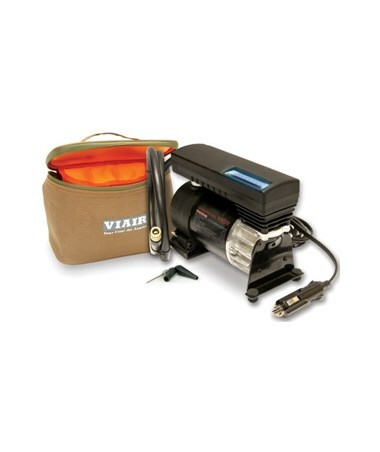 The Viair 77P Portable Air Compressor is available in two different models. Please choose from the menu above. Net weight of 5.00 lbs. Please refer to Overview for the full list of accessories.